In a big win for the whistleblower officer, the high court put aside a previous CAT ruling and said that Khemka’s ‘integrity is beyond doubt’. New Delhi: In a major victory for Haryana IAS officer Ashok Khemka, the Punjab and Haryana high court Monday restored a “higher grading” in the whistleblower’s personal appraisal report for 2016-17 and declared him as an officer whose “integrity was beyond any doubt”. The court also set aside the reduced grades given by chief minister Manohar Lal Khattar in his capacity as ‘Accepting Authority’ as well as an order of the Chandigarh branch of Central Administrative Tribunal which accepted the ratings and remarks of the CM in the matter. Khemka, who is known for having been transferred as many as 52 times in 27 years, had moved the high court in January after M.L. Khattar had reduced his grading from 9.92, given by cabinet minister Anil Vij, to 9 out of 10. In his petition before the court, Khemka had stated that the Reviewing Authority (Anil Vij), in his evaluation, described the officer as one who has “effective professional integrity under very difficult circumstances”. Vij also noted that Khemka had “shown excellent achievements under severe constraints” and “inspires many young officers”. Consequently, he gave the officer a grading of 9.92/10. However, Khattar, as the Accepting Authority, downgraded the officer’s grading to 9/10. He also remarked that the officer was ‘over-exaggerated’. He also only made the remarks 184 days later on December 31, 2017, without providing any ostensible reason for the delay. Khemka noted that the timeframe allowed to the Accepting Authority to record his remarks under Rule 7 (1) was 30 days. But as against the cut off date of September 15, the CM made his remarks on the last day of the year. After the disclosure of the Performance Appraisal Report, Khemka made a Statutory Representation on January 1, 2018 by way of his comments under Rule 9 (2) and within the timeframe of 15 days. The Reporting Authority, in his case the chief secretary (CS), then forwarded his comments to the Reviewing Authority (minister) under Rule 9 (5) on February 5 and on considering the comments of both the officer and the CS, the minister forwarded his views to the CM on February 12. Khemka said it was the statutory duty of the CM to decide the representation of the applicant and to communicate the decision within 15 days. But Khattar again failed to do so. After this, Khemka wrote a letter to Khattar on April 4, 2018 and urged him to take the lawful decision without delay. But there was no response. 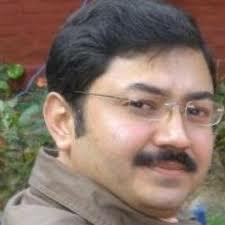 The IAS officer then first wrote to the Chairperson of the Referral Board about the failure of the CM to decide the representation within the prescribed timeframe and then move an application before CAT on September 4, 2018. In this petition, he stated that the “remarks and grade made by the Accepting Authority were in default of Rule 7 (1), and therefore time-barred” and that “failure to decide the Statutory Representation under Rule 9 (7B) meant that ipso juris the views of the Reporting Authority had gained finality”. However, CAT dismissed the application in toto on December 3, 2018 on the ground that the Accepting Authority or CM could record his remarks beyond the timeframe detailed in Rule 7 (1); and that the CM had unabashed power to not decide the Statutory Representation under Rule 9 (7B). It was then that Khemka moved the high court on January 10, 2019 against the order of the Tribunal. In its order, the bench made up of Justice Kuldip Singh and Justice Rajiv Sharma held that there had been a delay in adjudicating the matter by the CM. “Undoubtedly, the statutory representation of the petitioner has not been decided by the Accepting Authority within the time frame,” it said. Also read: Ashok Khemka, What Will You Find Next? Stating that “the time frame is the technical aspect of the matter,” the bench also said that “before this court, it has been argued that even on merits, the views of Accepting Authority are to be rejected”. The bench said as far as the integrity of the applicant-petitioner is concerned, “it is recorded that his integrity is beyond doubt”. Taking the observations of all the three authorities into consideration, the bench held that “the remarks recorded by the Accepting Authority are liable to be expunged”. It held that while the CM recorded that the minister differed with the CS he had given any reason for the same. However, the bench found this argument of Khattar “absolutely incorrect” saying the minister had provided a “brief reasoning” and recorded that the petitioner was well known for “effective professional integrity under very difficult circumstances”. 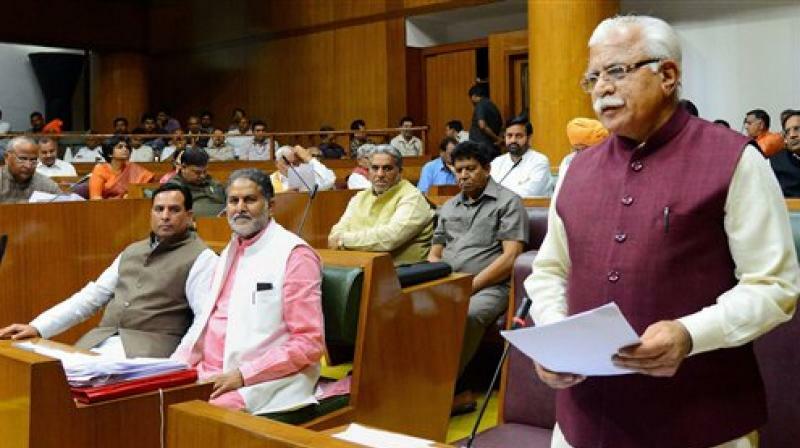 The bench also did not agree with Khattar’s stance on the minister not specifying the limitations when he stated that the officer made ‘excellent achievements under severe constraints’.